Well another successful Ladies Comp has now been competed with the finals matches played today in perfect sunshine. In Division 1 Kerri Cassidy, Pam Germyn and Mel Doyle played Vicki Dunn, Pat Callahan and Kate Rejc. 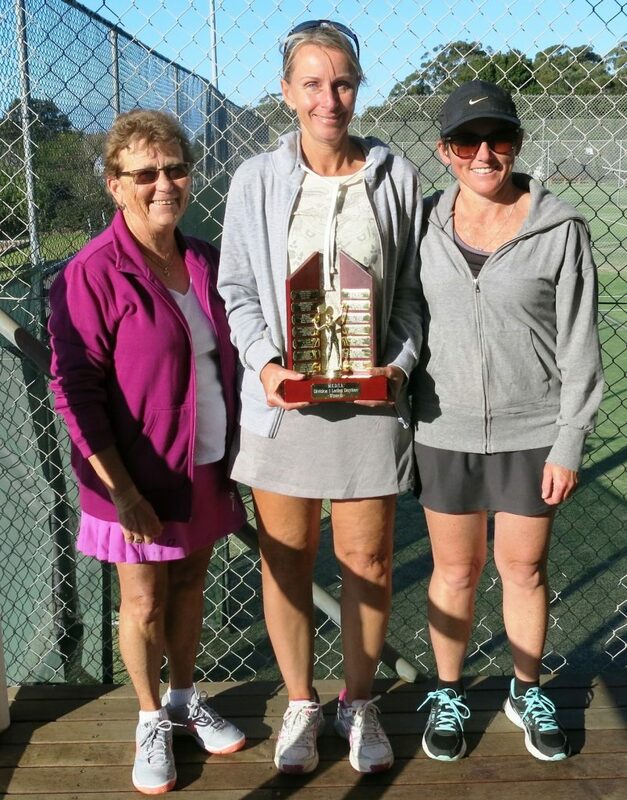 Kerri, Pam and Mel won 4 sets to 2, 31 games to 19. In Division 2 Lara Bennett, Cindy McKenzie and Pauline Proctor played Beryl Wright, Jenny Rutherford and Melissa Charles. 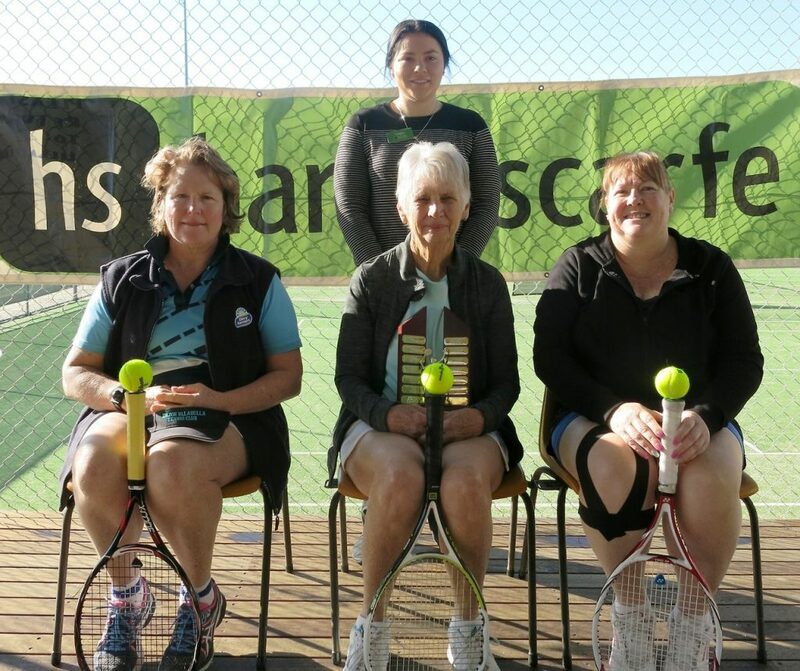 Lara, Cindy and Pauline were on fire and won all of their sets finishing with a 6 love result, but it was a closer match than appears with the games score 37 to 25. Finals jitters can certainly influence the outcome of a match on any given day. The selectors chose Kate Rejc In division one and Beryl Wright in division two to be awarded prizes for being the best and fairest players in their group. A delicious lunch was shared by all before the presentations were made of some wonderful kitchen homewares donated by our sponsor as prizes. 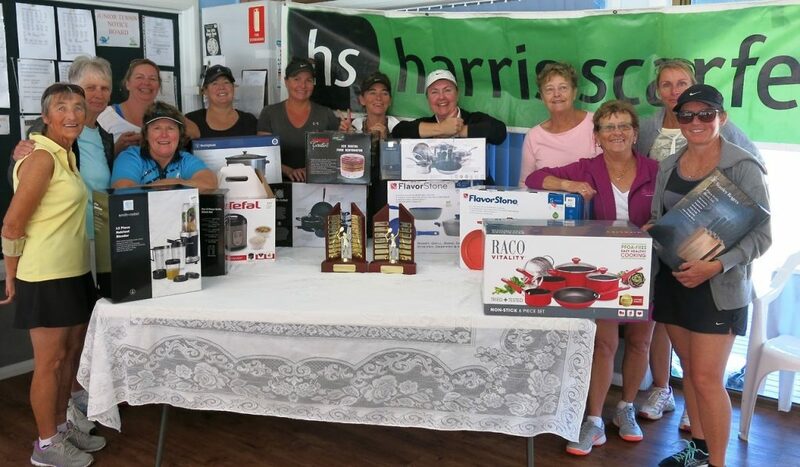 Due to a miscommunication our very generous and loyal sponsor Harris Scarfe Ulladulla more than compensated for not having our gift vouchers ready by providing a fantastic range of high quality kitchen homewares packages and electrical products which the winners and runners up got to choose from. Thank you so much to the Store Manager Tom and assistant Teagan Ardler for coming to the rescue at the last minute. We were all gobsmacked by your generosity. It was great that Julie Forster was able to join us to watch the tennis and stay for lunch. We hope to see your health improving all the time Julie. Entries are still open for next comp commencing on 24 July. While Mary Lou is away Jan Shalhoub will be taking names and enquiries. Phone 4455 3574 or 0414 923 068.